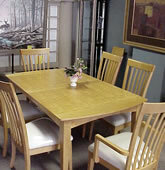 Bennie Cohn, who came from Chicago in the 1930’s, to play baseball, established Cohn’s Furniture in1954. After serving in the Army during WWII, He was co-founder and partner of Vet’s Clothing store in downtown Muskegon in 1947. He decided to start his own business and open a used furniture and appliance retail store on Henry Street in Muskegon Heights. The business has been located in the Muskegon Heights area for 50 years. It has been at its current location at the corner of Peck and Broadway in Muskegon Heights since 1969. 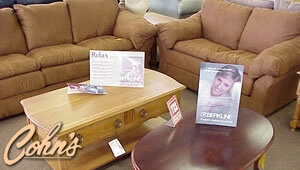 Cohn's has been in the Muskegon Heights Michigan area for over 50 years! 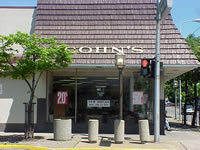 Cohn’s Furniture and Carpeting has the pleasure and status of being the oldest retail furniture store in Muskegon County and one of the oldest in West Michigan. Although Bennie has passed on, his son, Bob and partner Bill Gillard, have maintained the ideals and goals Bennie set forth in earlier years. Those Doctrines are quality furniture and carpeting at fair and honest prices, excellent service and customer satisfaction, where the customer is considered as family.